Even though its fun for dress up, much of children's jewelry contains lead and cadmium -- which are neither fun or beautiful. However, kids don't need store-bought jewels to feel fancy? 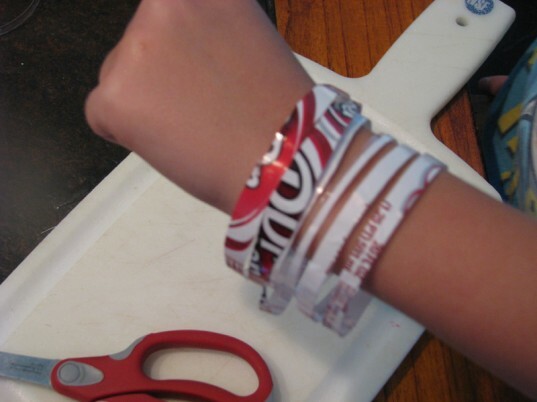 You can make simple, safe kids jewelry to using found objects lurking around your home and in the recycling bin. From bracelets, to necklaces to dangling earrings, you can help your child make unique jewelry that's age-appropriate and free of toxic metals. Read on to see how you can make a bracelet, necklace and pair of earrings in any size or shape that you wish. Since adult-only tools and skill are required for this recycled kids jewelry how to, you may want to appoint your child the jewelry designer and you can be the jewelry crafter. And the best part, if they ruin or lose a piece, it doesn't matter! – an assortment of plastic bottles, cups, snack wrappers and bottle caps from the recycling bin. 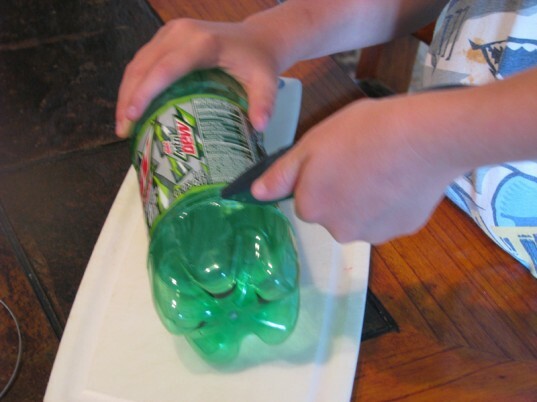 Adults or Older Children Only: Using a cutting tool and safety glasses, cut several links from a soda pop bottle. Then using a pair of scissors, cut the links into a long spiral. This makes a simple, spiral bracelet. These bracelets are fun to layer, especially when you have several different colors. 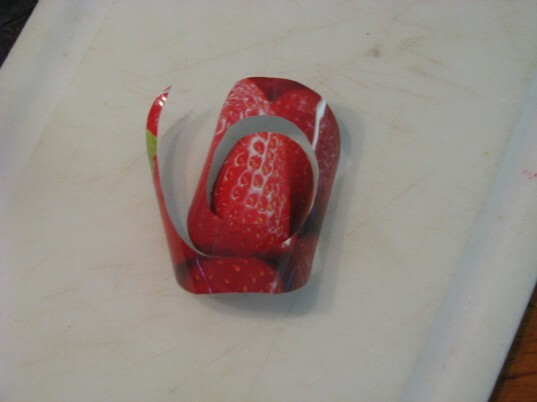 Using the leftover bags from fruit snacks, dried fruit snacks or juice pouches, cut any shape of earrings that you would like. We used dried fruit pouches. Next, use an awl or small hole punch to punch a hole in the top of each earring. 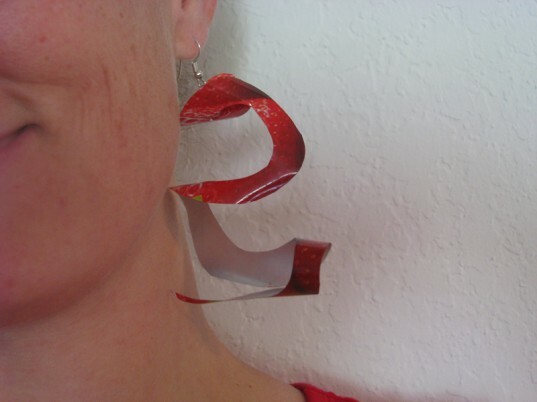 Attach the French earring wires. 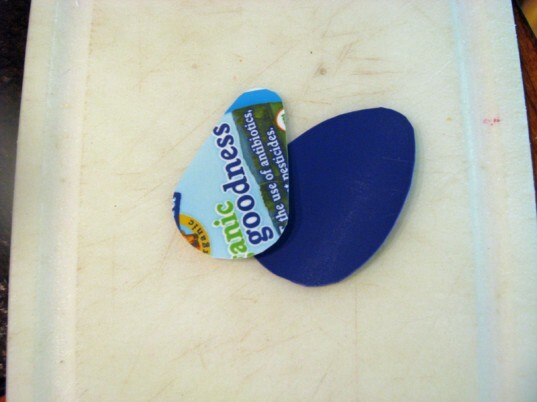 Using plastic yogurt cups and other plastic storage containers, cut any shape that you would like for your necklace pendant. Using an awl and mallet, punch a small hole through the pieces and string them onto a necklace chain. You can also use the awl and mallet to punch holes in bottle caps and string them on a piece of thread or chain for a fun necklace. 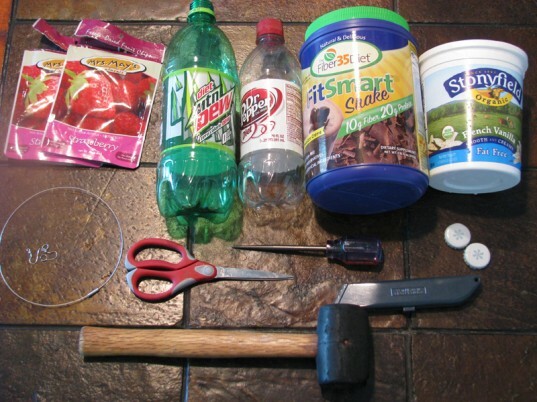 How to Make a Bracelet Adults or Older Children Only: Using a cutting tool and safety glasses, cut several links from a soda pop bottle. 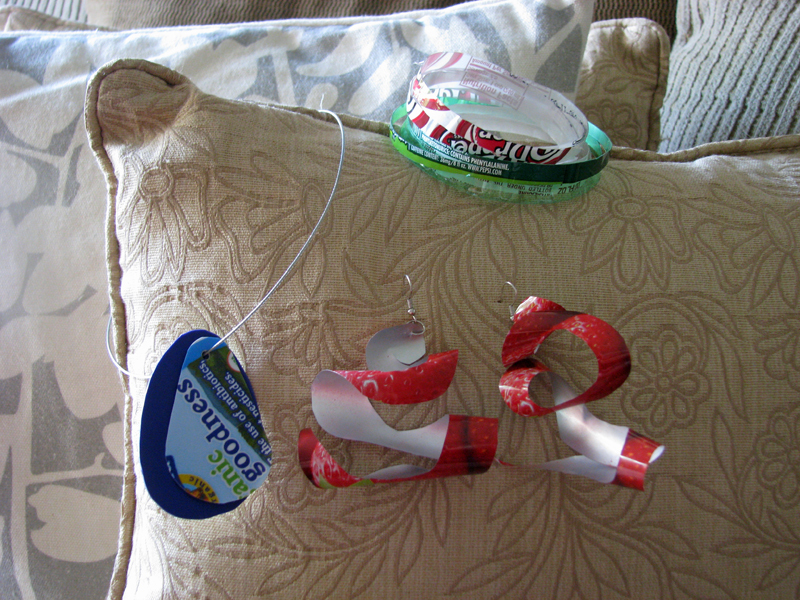 How to Make a Pair of Earrings Using the leftover bags from fruit snacks, dried fruit snacks or juice pouches, cut any shape of earrings that you would like. We used dried fruit pouches. 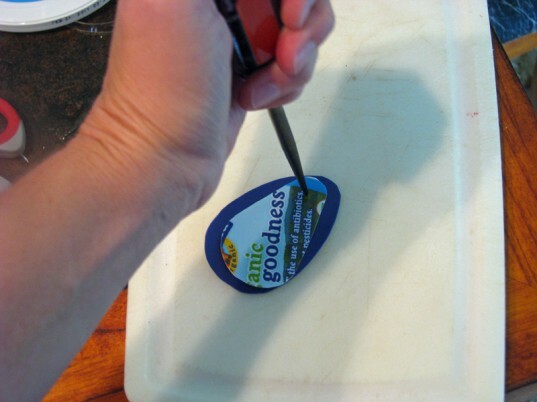 How to Make a Necklace Using plastic yogurt cups and other plastic storage containers, cut any shape that you would like for your necklace pendant.